The world’s only contact lenses with Digital Zone Optics™ lens design—supporting wearers’ eyes, on-screen and off. Increased accommodative burden. Reduced blinking. Frequent changes of focal distance. Digital devices are an everyday part of life, but all that screen time takes a toll on your patients’ eyes. 8 out of 10 digital device users* agreed that Biofinity Energys™ lenses with Digital Zone Optics™ lens design made their eyes feel less tired. Biofinity Energys lenses also feature Aquaform® Technology. This technology attracts and binds water throughout the lens material to retain moisture – natural wettability that can help your eyes feel less dry. That’s important because spending significant amounts of time staring at a screen causes blink rates to reduce, resulting in dry, itchy or burning eyes. Your patients’ busy lives happen on-screen and off. Help them experience the contact lens designed for the way they live. 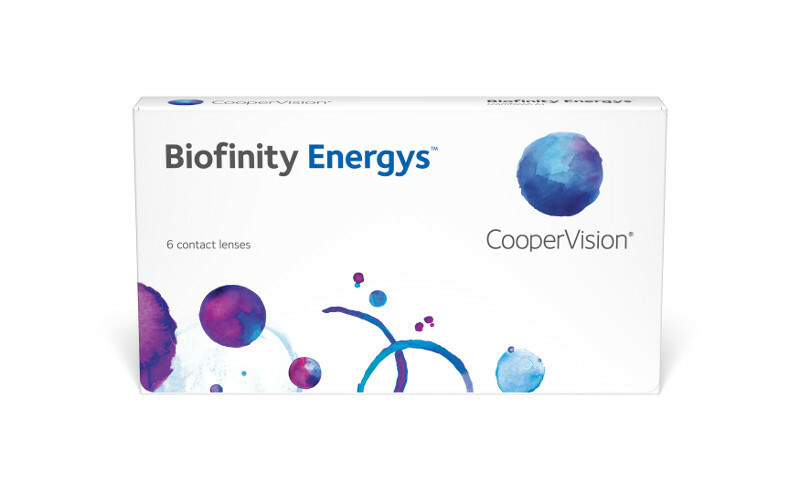 Ask your CooperVision representative about new Biofinity Energys lenses. *Among patients who use digital devices at least 4 hours per day at least 5 days per week and self-report symptoms of eye fatigue at least once per week. **After 1 week of wear. Data on file. For life on screen and off—a breakthrough lens design that helps ease the accommodative burden of a digital lifestyle.